Planning a wedding can be lots of fun for some couples and can be a real drudgery for others. However, hiring a wedding planner can make the planning process a lot more organized and efficient, therefore helping to ease the stress. Then, the day of the wedding, you don’t have to worry about anything, because the planner takes care of it all and you are having as much fun as your guests. Your planner will put you on a planning schedule that covers all the basis and keeps you on track. She/he will also keep you on budget which is extremely important for most couples. Most planners have preferred vendors that have been vetted and used often by other clients of the planners. Therefore, your planner can match you up with the vendors that fit your style and your budget eliminating the research that you need to do before hiring any vendor. 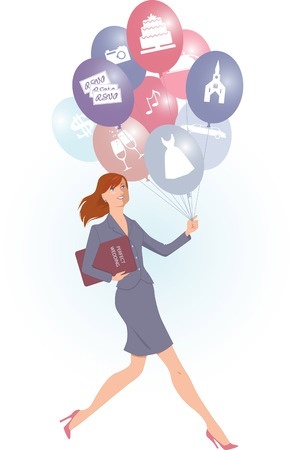 Also your planner can make sure the contracts with vendors are above board and may also negotiate a discount. I have saved my clients quite a sum with the discounts they got from various vendors. Because planners have so much experience in planning, organizing and executing events, your planner will grasp your vision and work very hard in making it into a reality always making sure you have the final say. Your planner knows all the dos and don’ts of wedding planning and the etiquette that goes along with it. Then, creating a timeline for the day itself, really helps you visualize how the day will evolve. The day of the wedding, your planner takes care of all the coordinating, executing and managing of the day, and you don’t have to worry about anything. Most wedding planners offer “Month of Coordination” as one of their packages; so you can do all the planning and then your planner will take over about a month before, confirm all the vendors and run the show leaving you to enjoy your last few days of engagement. And then, on the big day, you are a guest at your own wedding. How great is that!!! 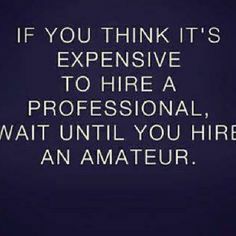 Many people think that hiring a planner is a luxury they can’t afford and it some cases they may be right. But if you want to have a great wedding experience and enjoy your family and friends, hiring a planner is the way to go even if it is only for the “day of” service. If you do decide to treat yourself to a planner, make sure you hire a professional. There are a number of people on Kijiji and other such sites that profess to be planners and are quite inexpensive, but have little or no experience. Hiring such a person will only increase your stress and add expenses to your budget. You want to make sure you hire someone who knows what they are doing and know the ropes. So, may your wedding experience be an enjoyable one and we, the wedding planners, look forward to hearing from you. All the best!